So 2015 was a pretty awesome year with the arrival of Baby Girl #2, taking over as the Oceanside Moms RUN This Town Chapter Leader, and running four half marathons (three during my pregnancy). The only downside was how physically limited I was for the majority of the year because I was pregnant. I can’t wait to MOVE in 2016! It was hard to do much towards the end of my pregnancy with The Belly in the way! This picture was taken on my due date. Baby Girl came six days later. I decided that this year I would push myself in ways I have never done before. Physically with a real training plan, socially by saying “yes” to adventure and friendship, and mentally by saying “no” to unnecessary commitment and worry. In order to design a comprehensive training plan I decided to start by writing out my 2016 running goals. Here they are! Train consistently. Do not skip workouts. Train for a half marathon using speed and hill drills with the goal of obtaining a new PR. Travel to a race (far enough away that a night’s stay is required). Run a marathon – eek! Cross train with swimming, biking, stand-up paddle boarding, etc. Volunteer for at least one race. Cheer on fellow runners at a race as a spectator. Continue to grow the size and participation levels of the Oceanside MRTT Chapter. Complete running costumes at least one week before races. I can’t wait to get started on it all. What are some of your running goals for 2016? 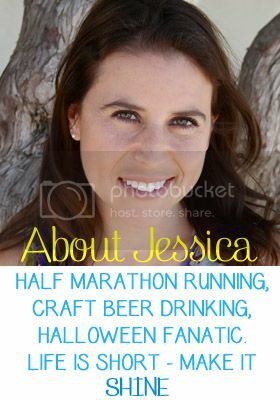 I look forward to connecting with and meeting as many runners as possible, a major part of my “social” goals! Categories: Running, Training | Tags: goals, running | Permalink.